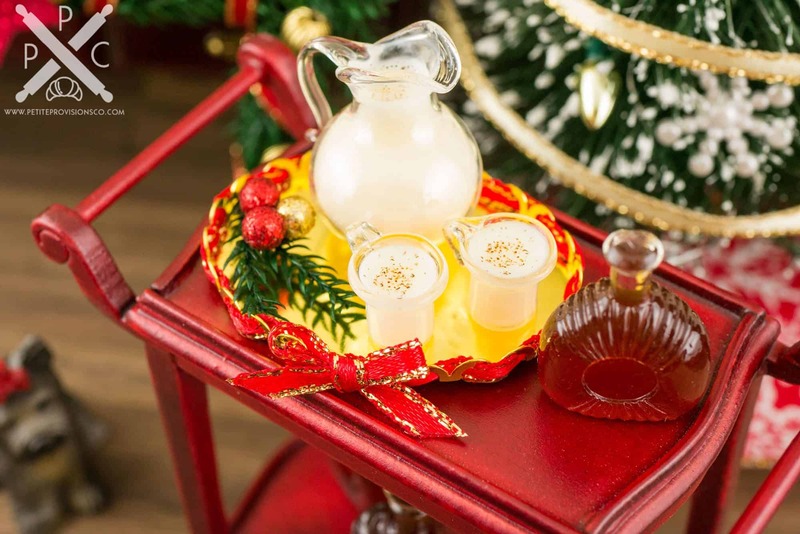 Dollhouse Miniature Christmas Eggnog Set on Tray - 1:12 Dollhouse Miniature - The Petite Provisions Co.
Christmas wouldn’t be the same without eggnog! Whether you have a dollhouse or just love all things tiny, this delightful holiday drink set is too cute to resist! 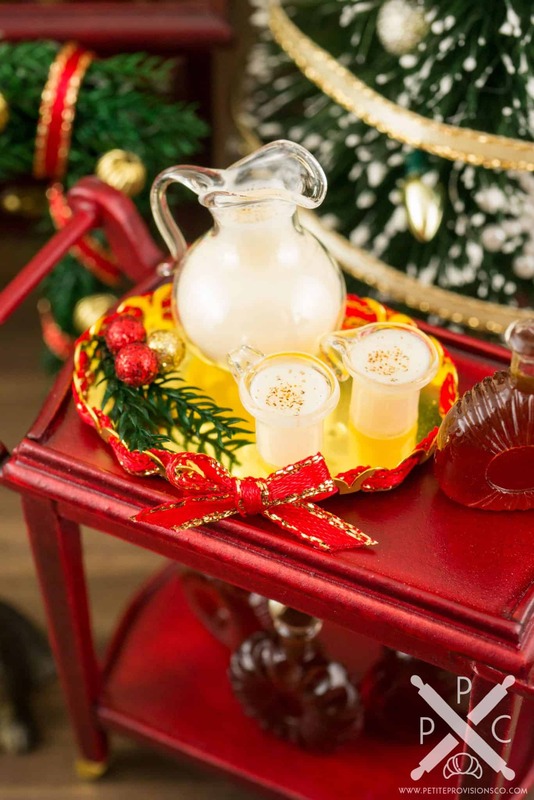 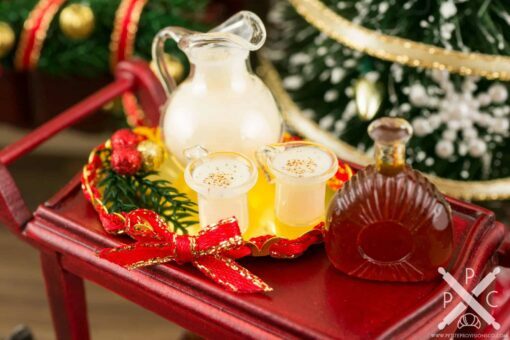 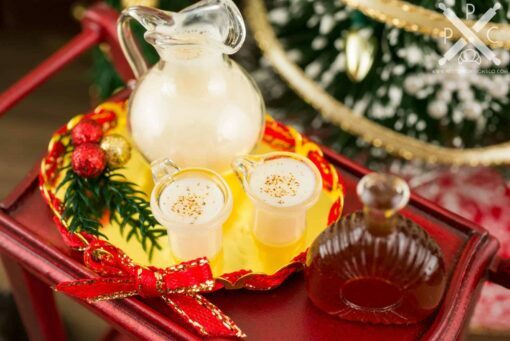 A glass pitcher and two glass mugs filled with eggnog, topped with nutmeg and cinnamon, on a golden tray decorated with red ribbon, a bow, and a spring of pine with glittery ornaments. 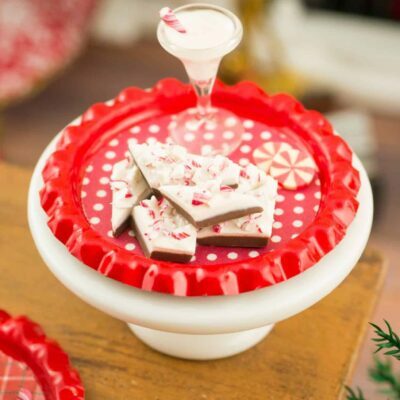 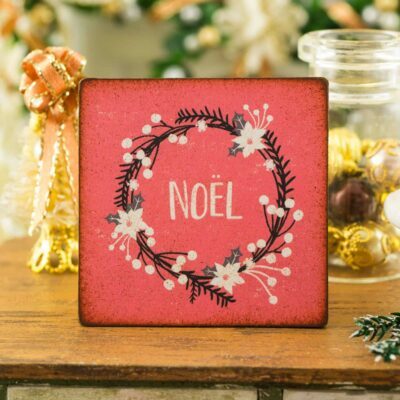 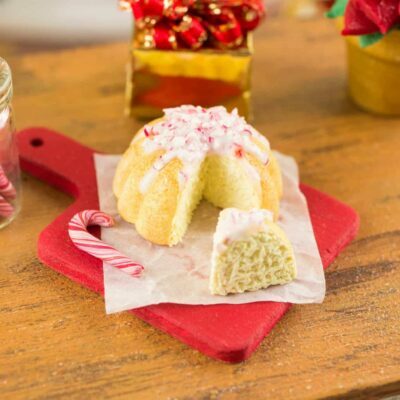 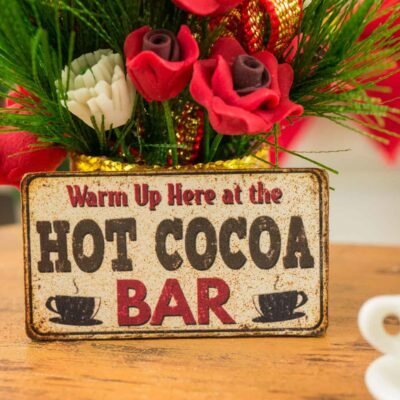 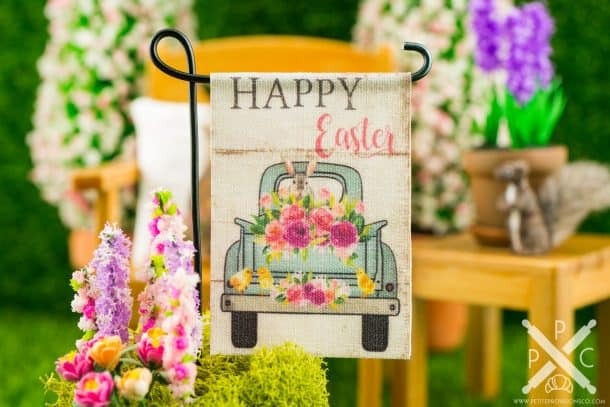 The tray measures approximately 1-5/8″ long and 1-1/4″ wide.